Clarify offers quite a few options for formatting your text. The format bar appears when you select the paragraph field. Click one of the icons to change the format of your text. 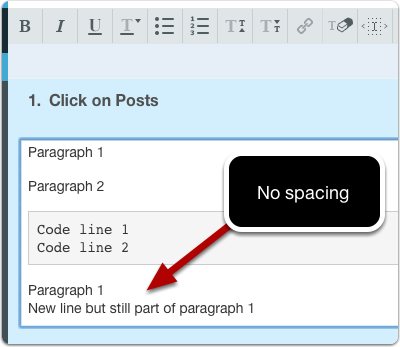 When you press the return key while editing text in Clarify a new paragraph will be created. 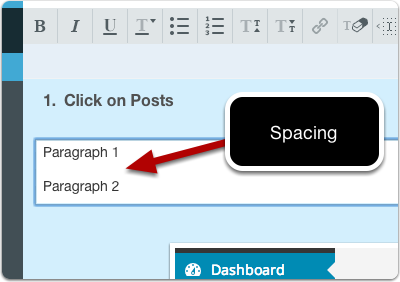 Clarify adds spacing between each paragraph like you will see in text on a website. 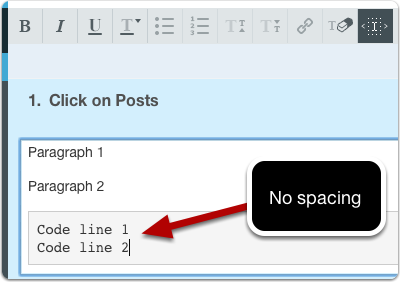 The exception to this is text that is formatted as code which has no spacing between each line. If you would like to start a new line within a paragraph you can press OPTION + RETURN on Mac or CONTROL + ENTER on Windows (The Enter key that is above the Shift key).